1, if all operands are non zeros, and not nulls. 0, if one of the operand is zero. NULL, If one of the operand is NULL, and remaining operands are non zeros. 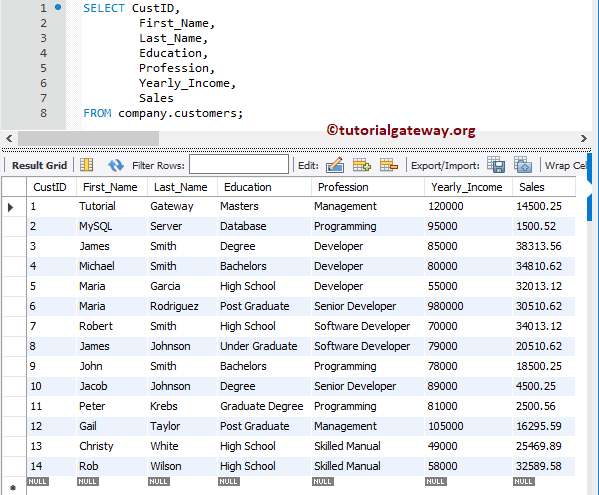 In this article we will show you, How to use the MySQL Logical Operator AND in the WHERE Clause to filter the data. 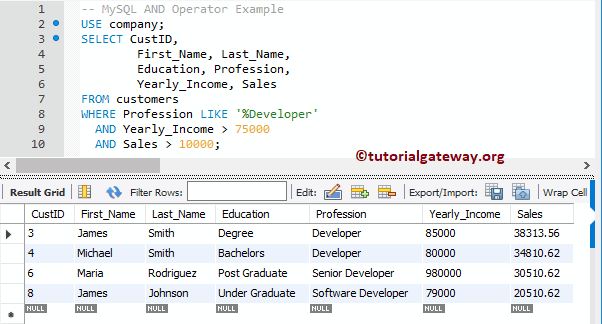 In order to explain the AND operator, we are going to use the below shown data. In this example we will pass Ones, Zeros, and Null values with different combination. This helps you to understand the Truth table behind the MySQL AND Operator. 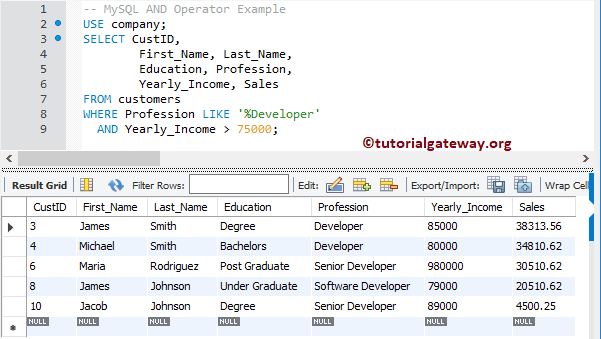 In MySQL, AND Operator is used to test multiple conditions in WHERE Clause. If all the conditions are TRUE then only it will display the records. Above statement will retrieve all the Customers present in the Customers table whose Profession contains Developer, and Yearly Income is greater than 75000. Above statement will retrieve all the Customers present in the Customers table whose Profession contains Developer, Yearly Income is greater than 75000, and Sales is greater than 10000.